This research aims to augment the thermal performance of soil-based building blocks (e.g., cement, ceramic, gypsum, and geopolymer) using additive manufacturing techniques. 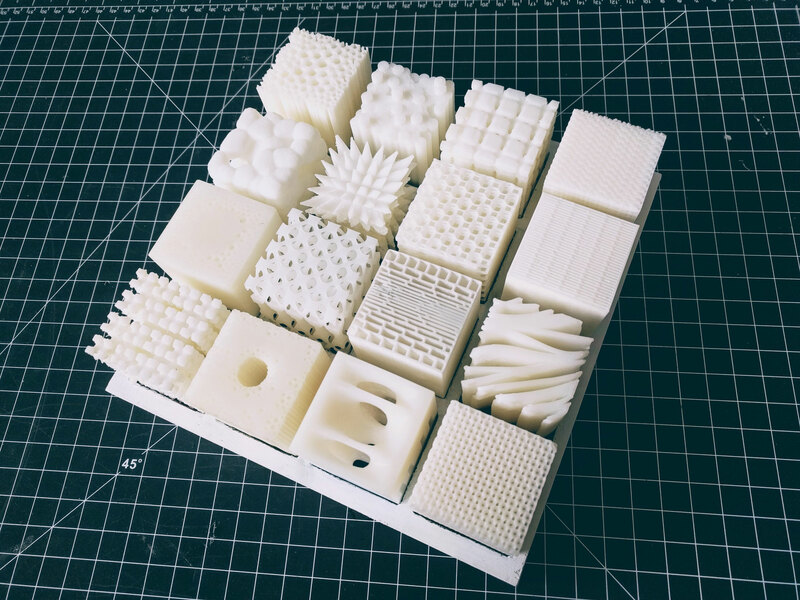 The key method of development is to integrate void spaces including cells, cavities, and channels during the 3d printing process, effectively creating functionally graded three-dimensional structures that resemble termite mounds. 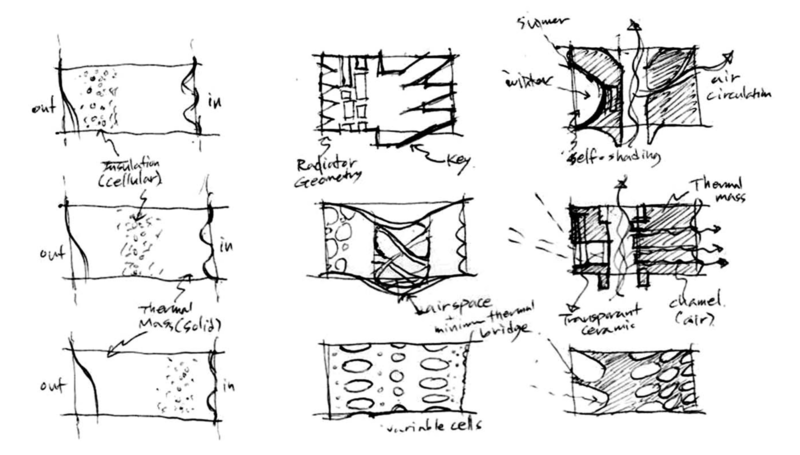 The shape, size, and configuration of the void spaces are optimized for targeted thermal functions (e.g., thermal insulation, heat exchanger, and thermal storage). The air within the cavities or flow through the channels augment the thermal properties (e.g., thermal conductivity, thermal diffusivity, and specific heat) of the building component (i.e., suppress or encourage convection heat transfer). The void spaces also incorporate reflective coating or film layers to control radiant heat transfer through the material system. In addition to utilizing this strategy for common building materials, it is also possible to implement it in constructing habitats in isolated areas such as rural communities or extraterrestrial habitats (e.g., Moon or Mars). 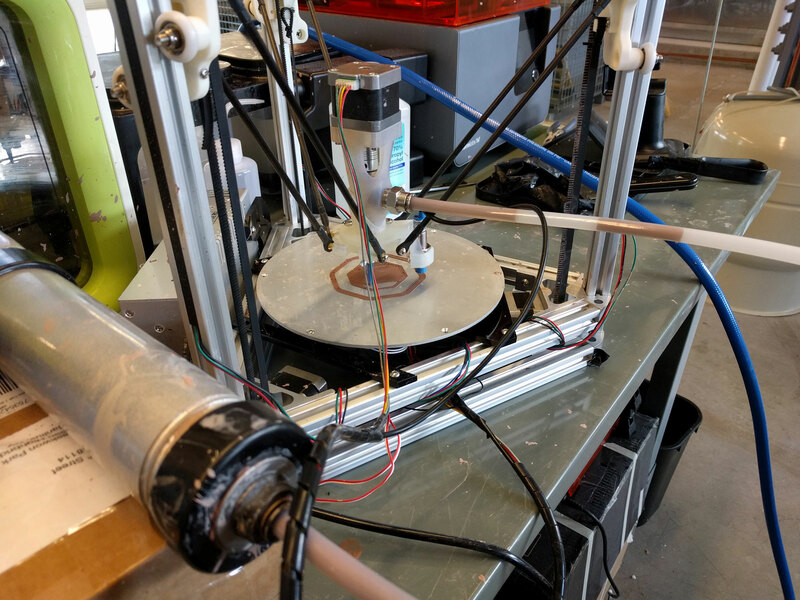 In these regions, where it is too difficult or costly to use high-performance building materials (e.g., thermal insulation), a 3d printer can be deployed and use the local soil to construct the habitats. 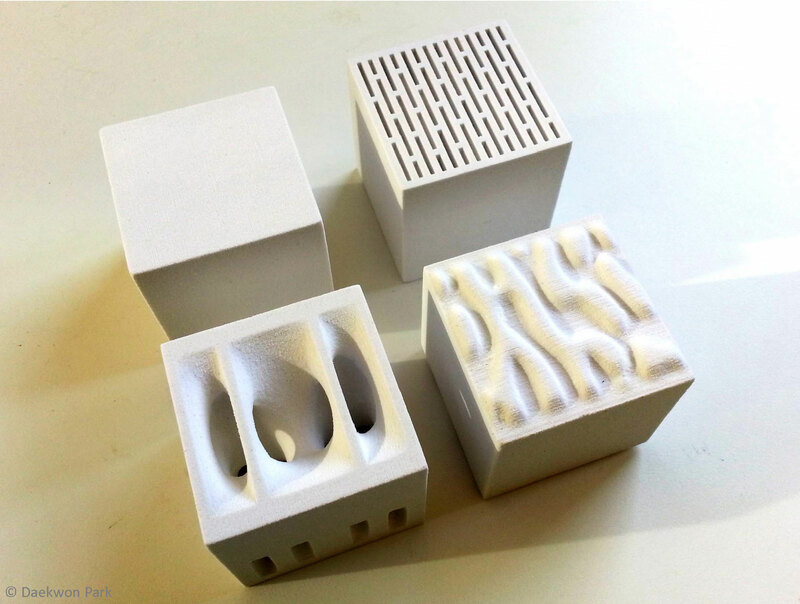 The microstructure of the soil-based material can be highly customized (e.g., cellular configuration, functional grading or texture) for the local thermal environment.